New Patients | PGV Pediatrics P.A. Why Should I Take My Child to PGV Pediatrics? Convenient Office Location- Wherever you may be in the Dallas area, our office is quick drive away, located in the East Dallas area. Flexible Hours- Aside from being available during normal business hours, our office is open weekends. We also offer after-hours appointments, if necessary. Unique Medical Approach- We offer a well-rounded, holistic approach to a patient’s well being while trying to avoid the use of unnecessary medications and support an alternative vaccination schedule. We strongly support breastfeeding and encourage our parents to utilize the services of a Doula. Same-Day Sick Child Visits- In most instances, we can see your child when he or she needs us most: when they are sick, you can just call our office and make an appointment. 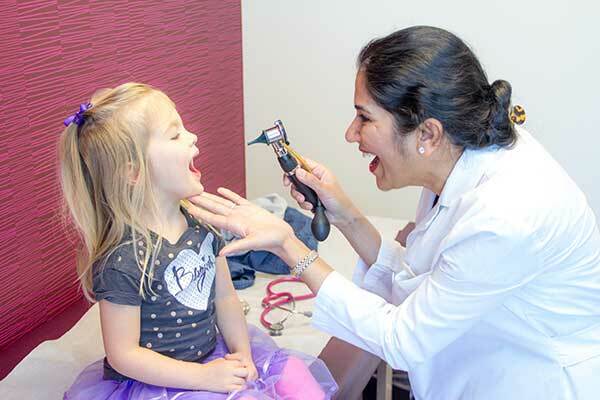 Competent, Dedicated Staff- With Dr. Agrawal and staff, you can always get the health care attention your child needs when he or she needs it. We are currently accepting new patients. Please give us a call and our staff will be happy to assist you. We want to make your first visit to PGV Pediatrics to be as easy as possible and one of the best ways for us to do this is to let you know what to expect when you show up at our office for the first time. When you arrive, you will check in with the receptionist. We will make a copy of your insurance card and accept payment for your insurance copay, when applicable. If you have any questions about your initial visit, please contact our office and we will be happy to answer any of your questions.